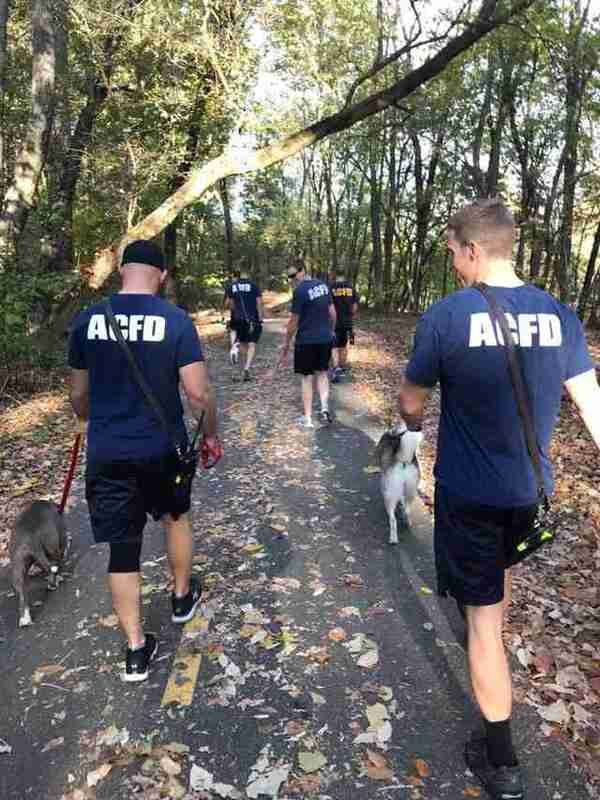 “As a crew, we work out every day to maintain physical strength. 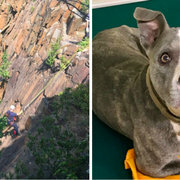 And we figured, ‘Why not take the dogs out for a run, too?'" 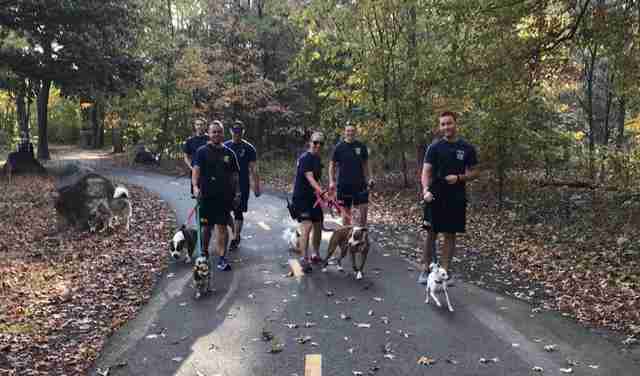 Last week, six shelter dogs — Maybelline, Sasha, Naomi, Levi, BB and Dory — got to do what every dog dreams about: go for a very long walk. 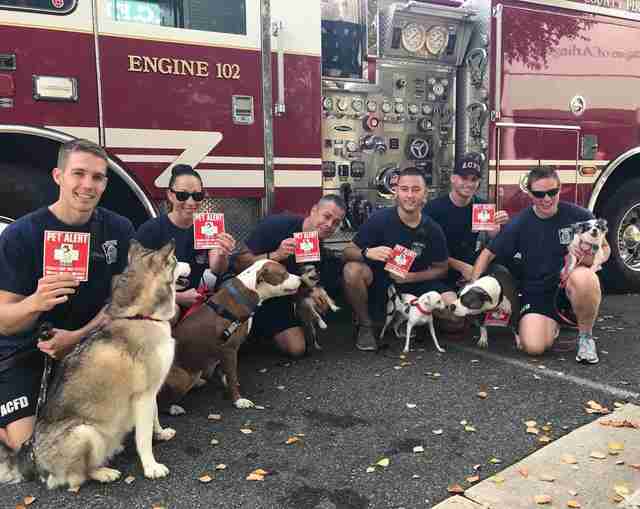 The people who made it happen were six firefighters working for the Arlington County Fire Department in Arlington, Virginia. 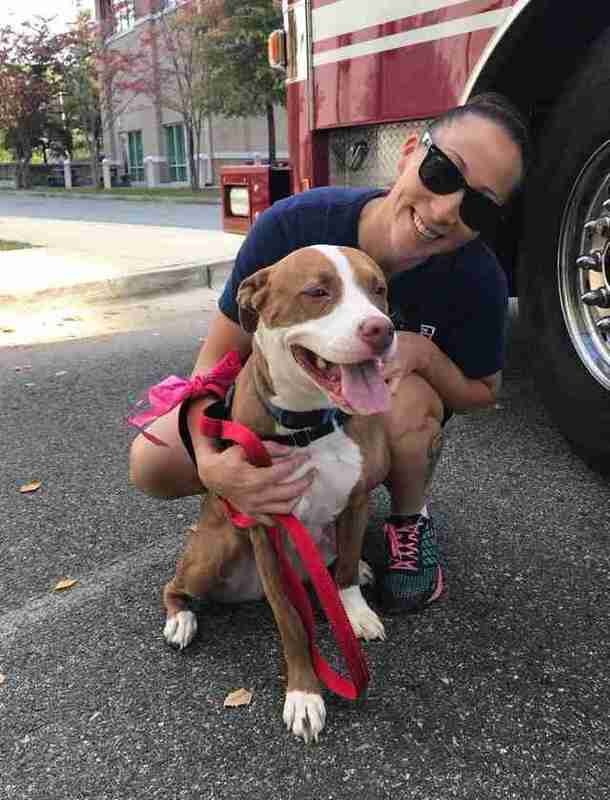 When Blunt ran the idea past Chelsea Lindsey, communications specialist at Animal Welfare League of Arlington (AWLA), she was thrilled. “I was like, ‘Sure thing. Come on over!’” Lindsey told The Dodo. 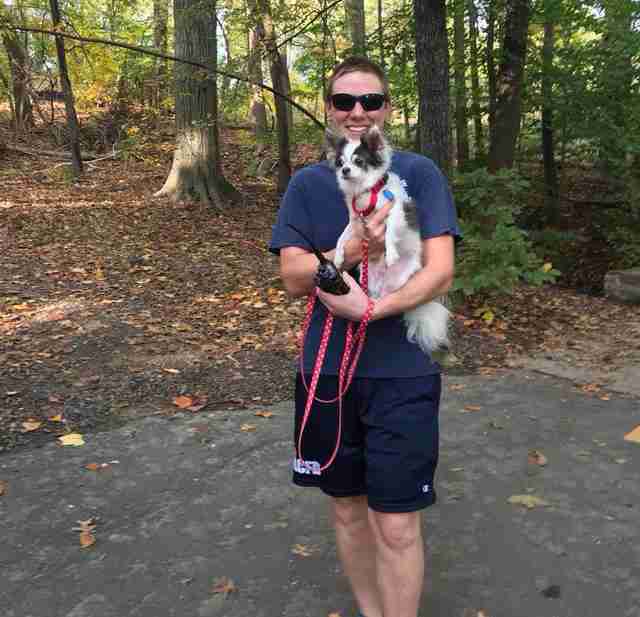 It’s becoming increasingly common for local law enforcement and fire departments to partner up with shelters. In New Orleans, the Coast Guard has even started fostering homeless dogs at its station. 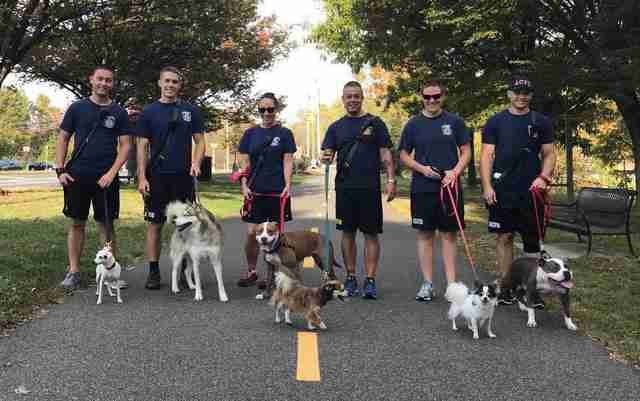 Blunt and the firefighters hope to make their walks a regular thing as well — they’re looking to set up regular volunteer sessions with the shelter to help more dogs get out of the shelter environment. 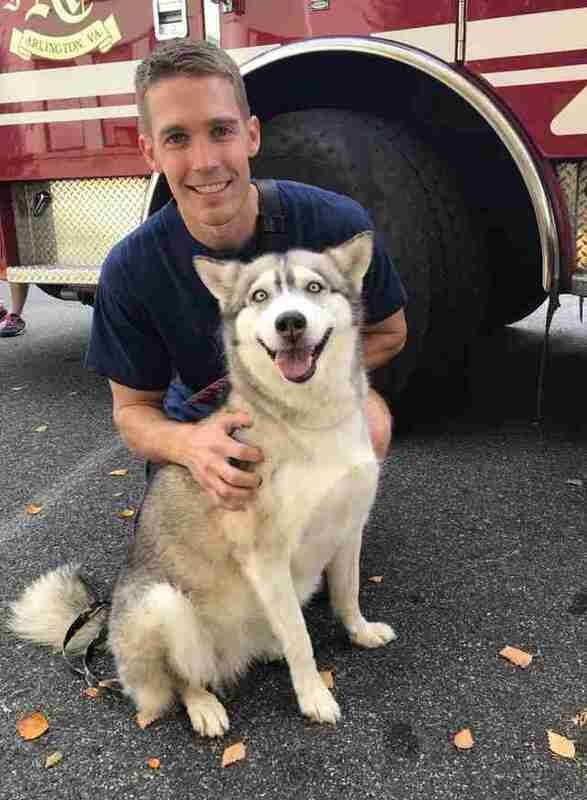 Since going out with the firefighters, Maybelline has found a forever home. But Sasha, Naomi, Levi, BB and Dory are still looking for theirs. If you live in the Washington, D.C., area and you’re interested in adopting any of them, you can contact AWLA.